Presented by Aaron Worthley of Arrowwood Environmental. This Webinar will cover the use of online tools- mostly free- for developing and sharing map data for community based conservation projects. Using the Google Maps and Google Docs platforms and rudimentary web authoring skills, geographic data can be crowd-sourced, collected and shared for very little cost. Huntington, Vt is currently utilizing these tools for two different volunteer projects. These projects will be explained and the tools and methods used will be introduced. (Originally posted on the VGIS-L email listserv in October 2010) Gary Smith, Green Mountain GeoGraphics, Ltd. I thought I should make sure that you are all aware of two 3D blogs. 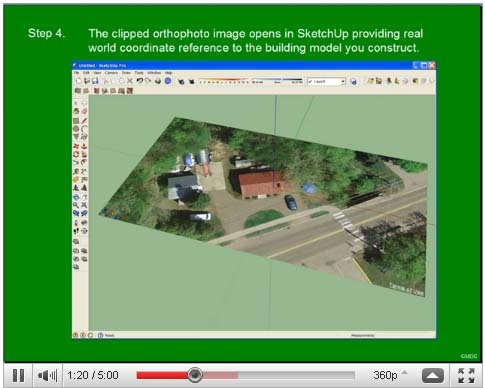 Both now reference the two videos I posted recently about working with SketchUp 8 and ArcGIS, but that is not why I am giving you these links. The first is for the Esri 3D GIS blog that the 3D team has been putting together. They have created a number of “how to” videos. In particular I like the Volumetric Shadow analysis and the Viewshed videos. If you are like me, until fairly recently I did not know of this blog. If you look at the SketchUp blog, you may have already seen the brief posting and link to my two videos. You will need to scroll down the different topics to find the reference. As you scroll down, I will bet that the first time you do so you will be distracted by another 3D story. In closing, make sure you pick up that copy of ArcUser that just arrived (Fall, 2010) and look at the article starting on page 7. Page 9 will give you a summary of the new 3D analysis functionality now in version 10. ALSO, don’t miss the article about the Vermont Energy Atlas, starting on page 20. Mark Scott of ESRI will present this Webinar. 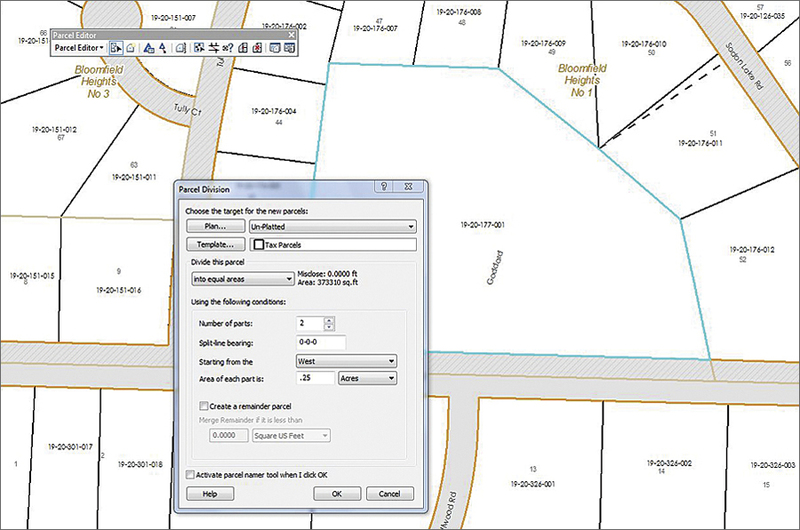 With the release of ArcGIS 10, Esri has provided Land Records tools and templates as a core part of the ArcGIS system. These will help you produce great web maps, implement efficient workflows, and incorporate best practices from the land records industry community. This webcast will demonstrate how the Parcel Fabric data structure and Parcel Editor tools can be used to improve the accuracy and integrity of your parcel data. Demonstration of the Local Government Template from ArcGIS.com will show how you can leverage your parcel data and increase its usefulness throughout your organization. Please consider classes you could attend this year (spring or summer?) as well as what you might be able to swing next year (fall 2011, spring 2012). Indicate both what and when you would like to see the class offered. Please indicate specific classes rather than general topic areas. 2. Do you have GIS/GPS training needs that are not specific to ESRI products? Would you like to offer some sort of training? Do you know someone who would be the perfect person to offer a training you have in mind? IF so, please send me your requests, ideas, etc. and I’ll see if we can make something happen. If you are needing some sort of training, chances are that someone else does too! VCGI’s Intro to GIS/GPS Workshops (12-16 hours over 2 days) – this year we are switching from ArcExplorer to Quantum GIS! You are currently browsing the VCGI's Blog blog archives for January, 2011.